Back in the day, Essie Envy began as a board on my Pinterest. 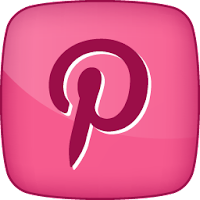 I was writing a blog called Meal Planning 101 and was posting recipes and meal planning advice regularly, so my Pinterest account was a natural extension of that. 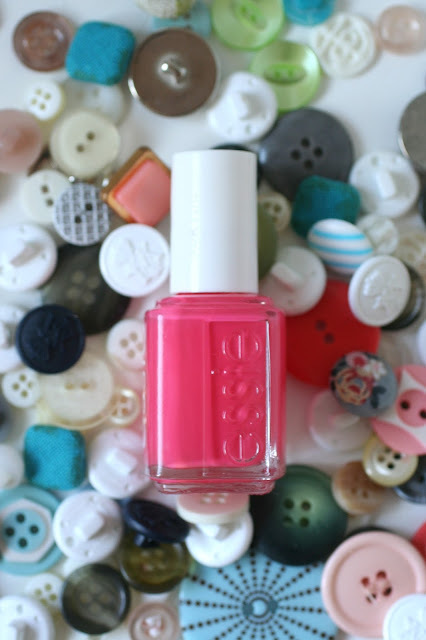 Once I discovered nail polish and then ESSIE, I created this lone nail polish board in a sea of recipe boards called "Essie Envy". 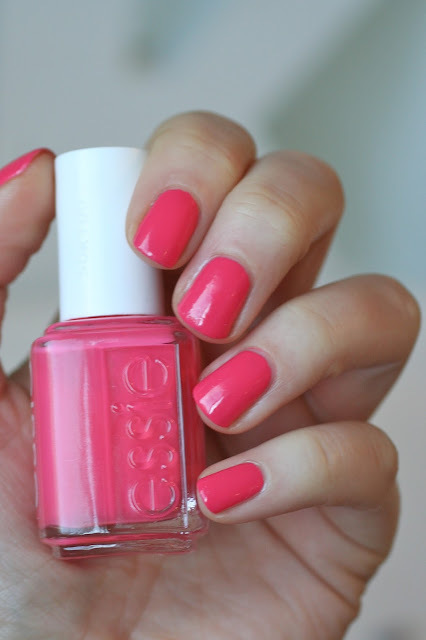 It's where I pinned pics of Essie polishes that I really hoped to one day get. If I got my hands on that polish I would update it to say "Have it", but back then most of them said "WISHLIST". 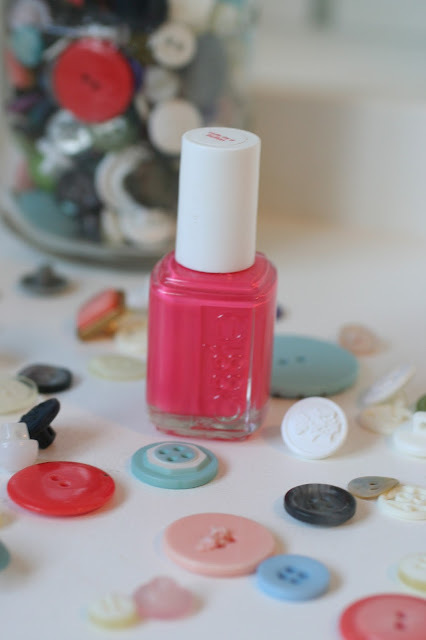 I received this beautiful pink-coral polish as a gift because of a pin on that board. Two years ago I gave birth to a precious baby girl we named Arya. She was our fourth child and the baby of the family. 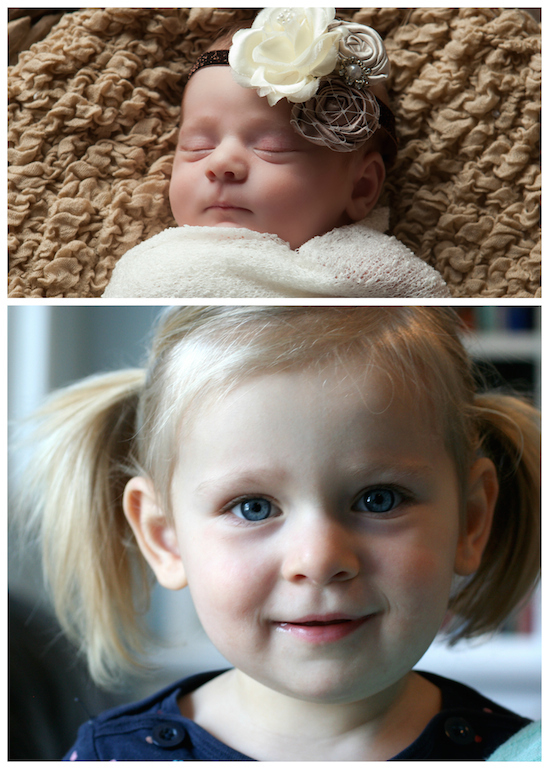 We are done having kids now, so I can hardly even believe my little baby is TWO today! While I was recovering in the hospital, my good friend Bailey came to visit Arya and I and brought with her a sweet little gift: adorable little onesies for Arya and nail polish for me! Cute As A Button was the nail polish she gave me. I looked at her and exclaimed "I've been wanting this one for awhile!" and she was like "I know. I checked your Pinterest." Even more perfect was that she specifically picked this polish for the name "Cute as a Button"....because of our sweet little bundle who had just arrived. So I can't wear this polish without thinking of Bailey's sweetness or Arya's cuteness. It just goes hand in hand. Essie calls this a "persimmon pink" which is a good description. Persimmons are orange and this polish is pink with a touch of orange. The original pin of this polish shows it as very orangey coral, but in person it's much more pink like my photos. It's an extremely hard polish to photograph. I've tried to in the past but I've never been happy with the photos because they never turn out colour accurate. This time I'm happy with them although I would say this polish is slightly not as bright as the photos show. The formula is nice and easy to work with. Just two creamy coats to get perfect opacity. This polish will always have a special place in my heart because of the sweet thought behind it. Happy Birthday Sweet Pea! You will always be "cute as a button". But yes it's all about the cute baby! Aw I loved this post today! Happy Birthday to your girly! 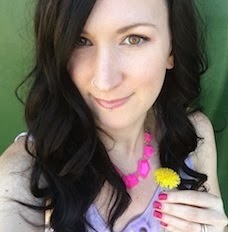 My daughter was also born a week early. I planned on having a nice pink manicure but I had Essie Power Clutch instead! (My first Essie polish, actually). Funny how we try to plan these things. This color is polish perfection!